"Thank you to all of our customers for the kind words and compliments. Your safety and investment in your vehicle is very important to us. We value our customer's feedback and want to hear about your experience working with us. You help us better serve our customers and keep us constantly striving to improve!" "This is an awesome facility with the best staff!" The best consumer service you can find. I searched throughout the state of Michigan for the best facility to repair my Volvo s60R. Let me say, I love my car and take extreme care of it and I was scared that after an accident it would never look the same. One Stop Collision takes a lot of pride in their work and it showed in the results. I told Adam I came to them because I wanted the best job done and he delivered. They offer options to help you with your situation, but that's no the point here. They do the best job, they care about their work, and they treat you like you've been their customer for 20 years from first contact. I wish I could show pictures of my car! I have a project Porsche that I'm almost finished with and I'm bring it to them for paint! Honestly, this is an awesome facility with the best staff! "Everyone there was a pleasure to work with." Fantastic service. I always dread getting work done on my vehicle because it usually turns into such a headache. One Stop Collision took the headache out of body work. Helped with the insurance, had my car finished when promised, and even cleaned her for me. She looks fantastic and everyone there was a pleasure to work with. I'll be going back if I ever need work done again. "The best service anywhere! Wonderful, kind and courteous people. Took care of everything for me and even set up a rental car for me. Service was done as promised and they did a beautiful job. Would HIGHLY recommend them to anyone!" "Fantastic service! Great people and great work! I just can't say enough about how impressed I am with their helpfulness and service. Thank you again." "Knowing I was having financial difficulties and in a time crunch because I needed to rent a car to get to work. They covered my whole deductible! They also sped up the process the best they could to cut down on the cost of the rental. They also provided excellent customer service and kept me updated on the progress. Very kind & friendly people working there. I STRONGLY recommend taking your vehicle in to One Stop, a good honest, quality & fair place is hard to find. One Stop will not disappoint. Thanks guys!" "They paid my whole deductible, and had the best service..."
"2007 envoy was done at one stop collision. the whole front end was smashed in. They repaired the whole front end and I am very satisfied with the repairs. They paid my whole deductible, and had the best service. I would recommend everyone that need their car fixed to go to one stop collision shop because you will get customer satisfaction." "Excellent job in a timely manner..."
"07 dodge ram was vandalized one stop collision did an excellent job in a timely manner." "Friendly service and quality repair work done..."
"I was very pleased with the friendly service and quality repair work done on my BMW recently at one stop collision shop in Garden City!" "When I sold it the guy didn't even notice it was painted..."
"I was really impressed with the work he did on my Benz S550. I hit the back and they fixed it in 3 days when I sold it the guy didn't even notice it was painted and one stop did a great job. Thanks a lot." "They gave me the best deal and was very upfront with me..."
"I went to One Stop Collision in hopes that I would not get the run around like I did at other collision shops. I found that they gave me the best deal and was very upfront with me. i have a 2005 Cadillac CTS that was hit on the driver's side front panel. The front end was wrecked as well. One Stop Collision did excellent work and painted my car with precision. I would recommend anyone to come and check them out because they are for real." "Answered all my questions, paid my deductible, and got my car as promised..."
"I have 2000 Mercedes Benz. One stop collision did fabulous work on it. They did some insurance work and painted the whole car. Management and staffs very friendly they answered all my questions, paid my deductable, and got my car as promised." "Looked like the car was never involved in accident..."
"Very satisfied with my 2004 ford focus that was done at one stop collision shop they replaced my quarter it looked like the car was never involved in accident great job one stop you will always have my business." "Very friendly and excellent work..."
"One stop collision is absolutely great I would never take my vehicle's to another collision shop very friendly and excellent work." "They matched it perfectly and made it look flawless..."
"I took my Infiniti G35 coupe to one stop collision and they went above and beyond the level of service. I had minor damage to my rear bumper with a few scratches as well. Another collision shop quoted me over $1000! I met a guy while getting an oil change that recommended one stop. I took it over and everyone was very warm and welcoming. Adam came and gave me an instant raw quote. He told me when I dropped it off that it would take 48-72 hrs. He had it done in less than 24hrs!! Also, I am in Michigan alone on business so i did not have anyone to pick me up when I dropped off my vehicle. I had a taxi coming for a ride. The young lady in the office had me cancel the taxi and they gave me a ride back to my home. In addition, i have a very expensive paint on my vehicle. They matched it perfectly and made it look flawless. One stop collision by far exceeded my expectations. They were honest, professional, and went above and beyond. I wish we could post pictures because their work really speaks volumes. Will definitely recommend." "Adam is extremely honest and hard-working..."
"I took my Lexus here in late March 2012. I had a minor accident that caused quite a bit of damage to my right front-end. One Stop's quote was much much lower than another I received and the work was/is excellent. Adam is extremely honest and hard-working. He had the car ready when asked, and showed me all the receipts for the parts. I did not feel for one instance that he was padding the bill because I drove a nice car (something that was done by another nearby shop). Do yourself a favor if you get a high quote, come here and compare - you will not regret it!" "It looked as if it were never in a wreck and they had detailed the inside..."
"My daughter wrecked my Durango just before Christmas and I was very stressed out. I called One Stop and took it up there, Adam put me at ease and told me not to worry he would take care of me. Their turn around rate was very quick and they do exeptional work, not to mention my deductible was waived. When I picked my truck up it looked as if it were never in a wreck and they had detailed the inside. I would recommend One Stop Collision to everyone, Thank YOU!" "Extremely pleased with the results..."
"I took my 2011 Escape in for some front end repair and was extremely pleased with the results. The workmanship was perfect! The people were very friendly and helpful during the entire processs and this was very important to me, since I dislike any type of disruption in my day to day routine and missed my Escape greatly during the time they were working on it. They were also very timely in getting my vechile back to me. And it was cleaned (I live on a dirt road)! I would highly recommend them to everyone! I can't say enough! Thank you One Stop!" "The staff are very pleasant and friendly..."
"I'm so pleased with my service. The staff are very pleasant and friendly and the quality of their work is second to none! Thank you for a job well done!" "One Stop was my best experience when it comes to my vehicle being repaired. someone hit my car in a parking garage and when I took it to One stop they repaired my car in 3 days and made my experience delightful. I would highly recommend this place. when I picked my car up it was even detailed!" "Their customer service was excellent..."
"My dad is an owner of 2 vehicles, a Lexus and a Nissan Maxima. I had the music on full blast as i was reversing from the driveway and managed to cause an estimated of $12,000 worth of damage. With no hesitation I picked up the phone and called One Stop Collision Shop. Their customer service was excellent and made sure I was taken care of as soon as possible. They finished my car and waved my parents deductibles, which kept me a home to stay in. My parents now have a smile on there face with relieved stress. I highly recommend anybody with problems with there vehicle to visit One Stop Collision. Thank you One Stop!" "My daughter's Alero needed some front end work due to a minor fender bender. I got a recommendation and an excellent quote from the shop. It took a few days of work and when we picked up the car I was extremely happy and satisfied with the craftsmanship and quality of work that was done on my daughters car. If I ever needed any car work done to any of my vehicles, I wouldn't hesitate to bring it by to One Stop Collision! Thanks guys for all of your hard work!" "Best choice, service, and surely I will come back..."
"I had a 2008 G6. My damage was a total of $8,354. I was in need and my husband and I could not make it with such a big amount. I was so depressed thinking that my car would never make it back to its perfect condition. I was referred to go to One stop collision shop. Best choice, service, and surely I will come back. When I picked up my car in 5 business days, I was so shocked that what they have done with my car. Best car work and also a free detail. 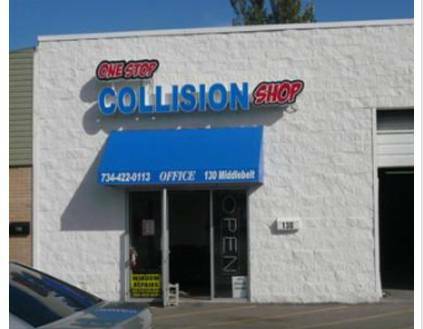 I love one stop collision." "I would highly recommend One Stop Collision for your painting needs..."
"I had some rust on my car's roof, from bird droppings, etc. Tried to sand and repaint myself. Found I don't have painting skills. Took car to dealer, they wanted $571 to repair and repaint. Too much. Went to One Stop Collision, because they are local, and the quote was $308. Dropped the car off that day, Monday, and picked it up, as promised, on Wednesday. Very happy with the work they did. Adam is the man I dealt with. Very friendly person to deal with, both on the phone and in person." "Very professional in every way..."
"If your looking for collision work you can't do better than One Stop Collision, in Garden City. Polite and friendly staff. Checked around and their prices can't be beat. More importantly the workmanship is excellent and second to none. HIGHLY RECOMMENDED!!!!!!" "The customer service is second to none and the work is very professional..."
"One Stop is a small collision shop that does the work fast and on time. I have taken cars to large dealerships and felt like a customer, but at One Stop they make you feel like family." "They are very polite and friendly..."
"My wife had an accident and I took her car to one stop collision shop and I am glad I did.They know what they are doing when they work on a vehicle. They did a great job on my wife's car and at the right price. I took my car in on a Tuesday and had it back Wednesday. I would recommend them to anyone that needs body repair done.Thank you, job well done." "Fast and on time. Friendly, along with great customer service. Would recommend anyone to use this company fro any vehicle repair"
"I encourage anyone in need of collision work in the greater Detroit area to go to One Stop, as it is an exceptional business to deal with..."
"If you want collision work completed when promised, excellent workmanship, & wonderful customer service...Go to One Stop Collision Shop! If you like to deal directly with an honest business owner, be given a fair price, & be treated with respect...Go to One Stop Collision Shop! 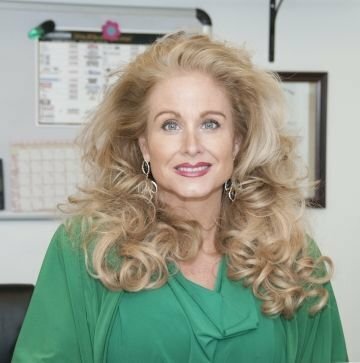 At 54 years old, I have experienced the gamut of customer service, and over the years I have witnessed the decline of superior workmanship & outstanding customer treatment with honest and fair pricing. My husband & I recently had to have collision work done on a vehicle. I obtained three estimates, one from a large, franchised collision shop and two from smaller, independent collision shops. Adam Farha, the owner/operator of One Stop gave us the lowest estimate and we decided to have his shop do the repair. Both my husband & I were awed by Adam's fantastic customer service and we appreciated him treating us like people & not identifying us by the VIN on our car! His work was perfect & be assured, as a Nascar fan, I know about what to look for in collision work and I checked the workmanship with an eight inch round magnifying glass!!! Again, the repair was perfect. In addition, the cost was exactly what he estimated from the moment he looked at the car. I can't say enough about this "Throwback" business, I just really appreciated everything about our experience there and I give Adam Farha & One Stop Collision Shop 5 Stars out of 5!" "This collision shop is prompt with returning calls, and is honest..."
"I found this shop in the yellow pages. I called a couple of collision shops and I felt most comfortable with this shop. The person I spoke to directed me right away on how to go a bouts on my claim and rental coverage so I could be back on the road without such a hassle, especially when u have a full time job. I would recommend this shop collision again." "I found this shop to be very helpful and honest..."
"I found this collision shop in the yellow pages, when I called a couple of different collision shops, This shop made arrangements for with a rent a car right away. Also this collision shop will have your car ready in a timely fashion. I would recommend this collision shop." "One Stop Collision does wonderful body and paint work..."
"I recommend them HIGHLY!!! Extremely professional. Great Customer Service! I know because I am a business owner myself. I will recommend them in the future. Great job One Stop!!! "This shop did an excellent job on my Grand Marquis..."
"The price was right and they did quality work. I also got my car back in a decent amount of time. Entered the car in a car show after work was completed and everyone who viewed car was impressed in the before and after photos I provided. Thank you One Stop Collision. You have my business for sure." Our Customers Love Our Work! "Knowing I was having financial difficulties and in a time crunch because I needed to rent a car to get to work, they covered my whole deductible! They also sped up the process the best they could to cut down on the cost of the rental. They also provided excellent customer service and kept me updated on the progress. Thanks guys!" Middlebelt Road, just North of Cherry Hill. The contents of this webpage are Copyright © 2019 One Stop Collision Shop. All Rights Reserved.